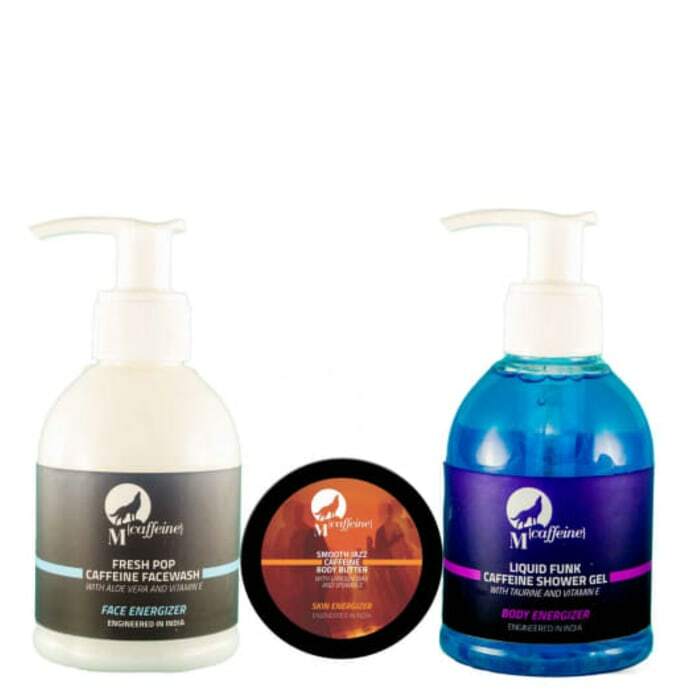 Mcaffeine Evening Caffeine (Face Wash- 150ml, Shower Gel- 150ml, Body Butter- 50ml) pack contains one unit of each Face Wash, Shower Gel and Body Butter. Caffeine energy, nourishing almond, shea and an invigorating scent. It includes a low-lathering shower gel and a creamy, purifying face wash that locks in moisture without clogging pores. Rich and soothing body butter which has healing properties for dry and sore skin.